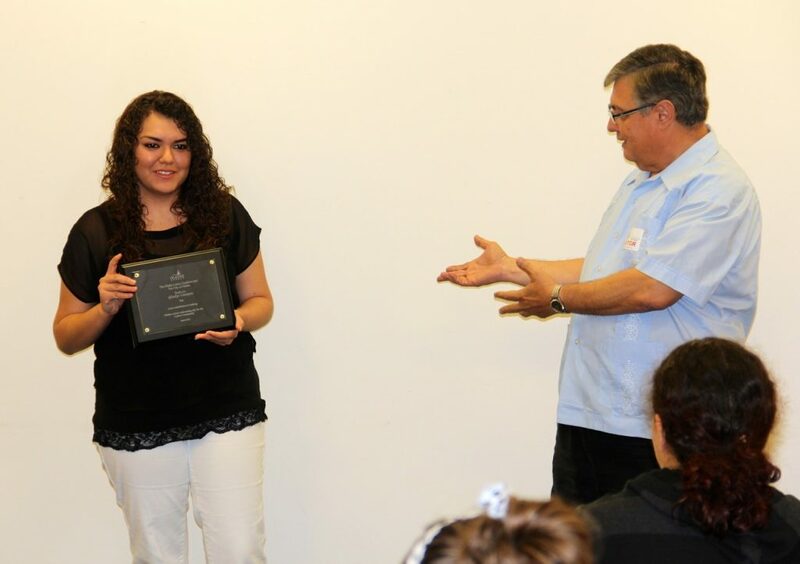 Today, Mr. Hector Silva, director of the Olathe Latino Coalition, came to the Web Design room to present an award of appreciation to junior, Gladys Campos. For her endorsement project this year, Gladys worked with Mr. Silva to create a website for the Olathe Latino Coalition – a group whose goal is to make Olathe a more welcoming place for the Latino population. 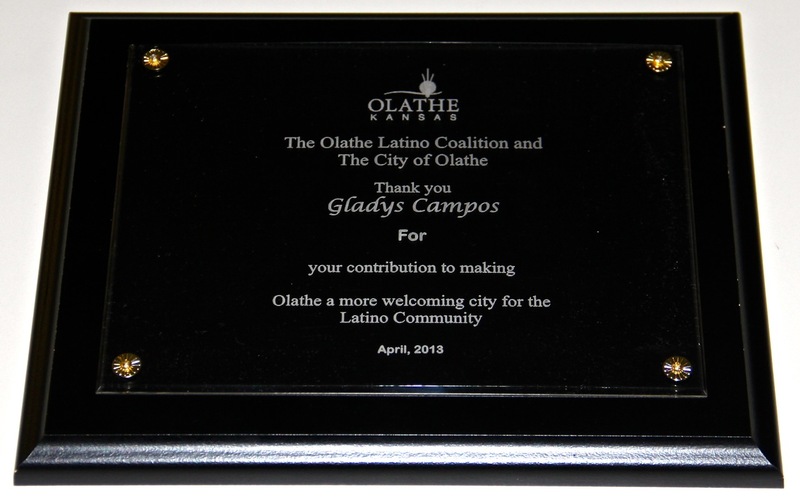 Gladys benefited not only from the experience of designing a website for a client, but also made some valuable connections and has the satisfaction of knowing that her work is used by the Olathe Latino Coalition to help improve the quality of life for many in the community. 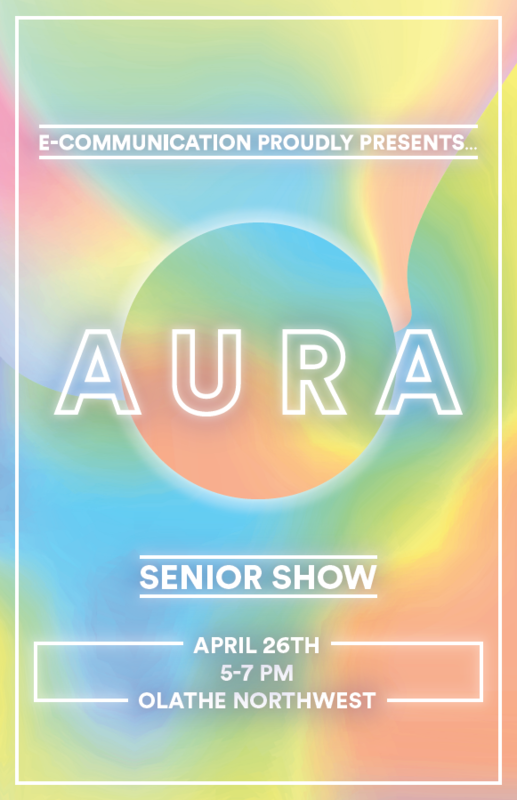 Congrats to Gladys, and a big thank you to Mr. Silva for giving an ONW e-Communication student a chance to shine! 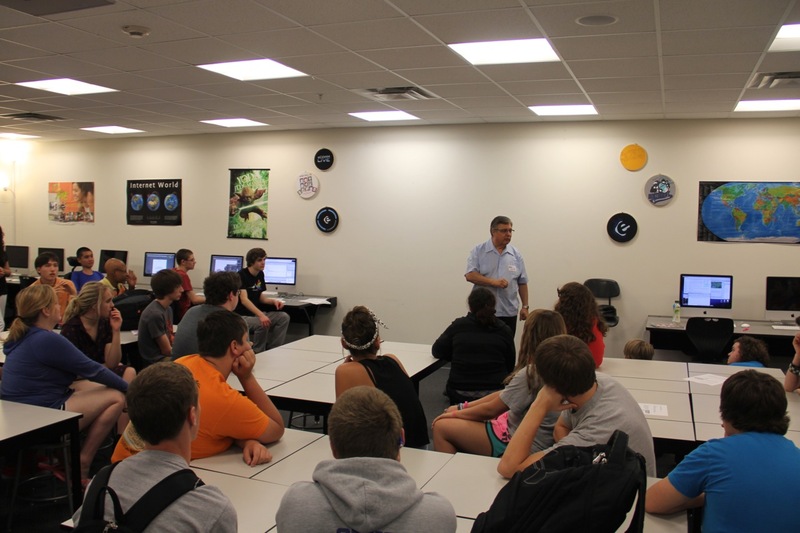 Mr. Silva describes to juniors the purpose of the Olathe Latino Coalition. 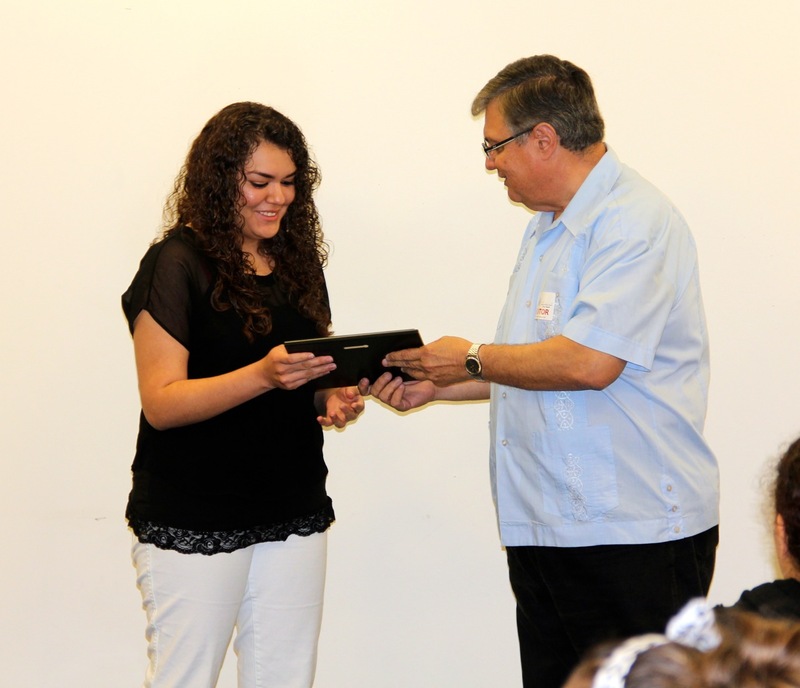 Gladys Campos is awarded a plaque of recognition for her work on the OLC website. We love to establish these ties with our community!